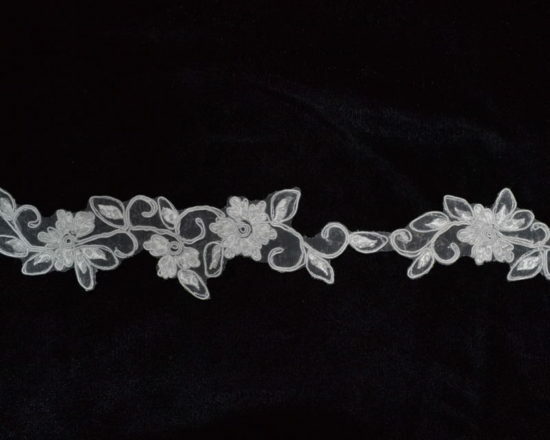 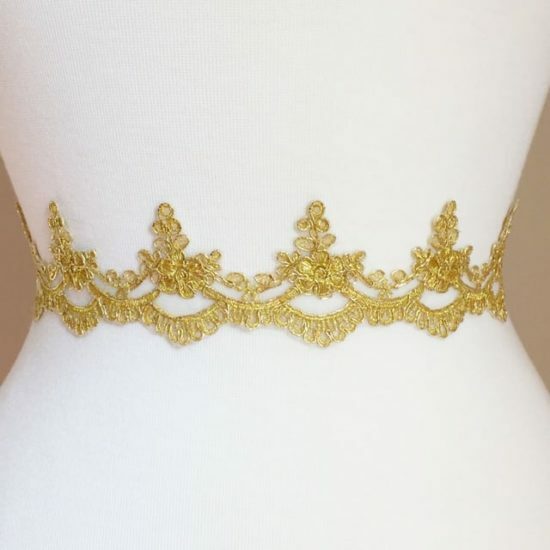 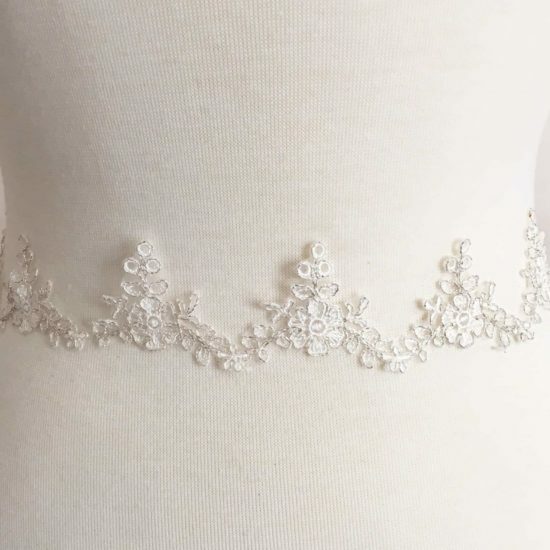 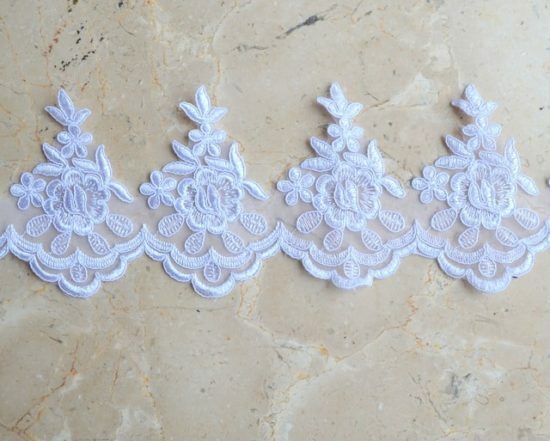 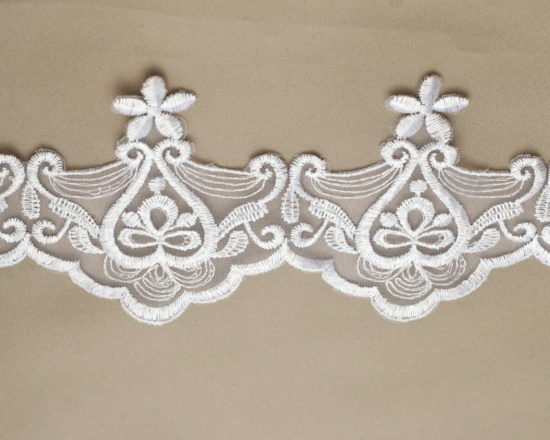 Embroidered flower trim with delicate beads. 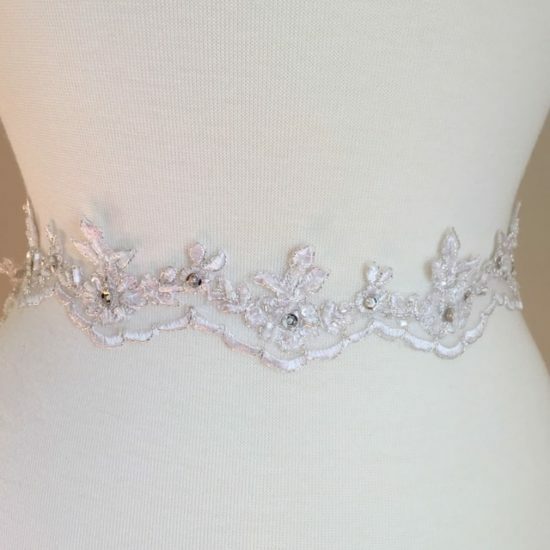 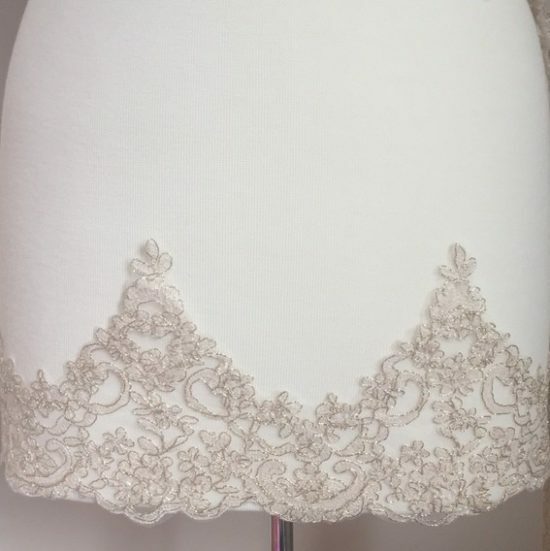 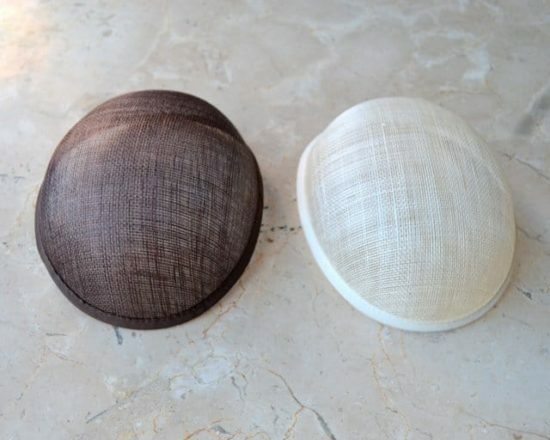 Beautiful on a veil or bridal gown. 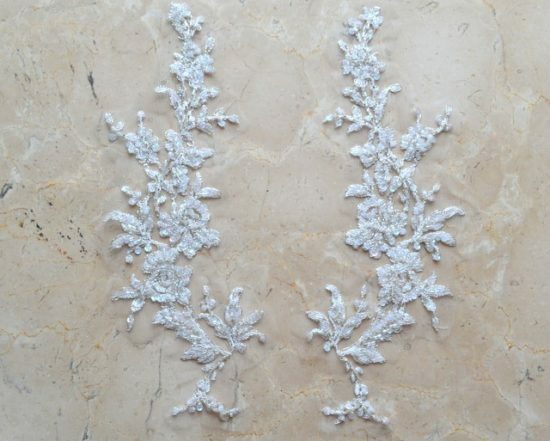 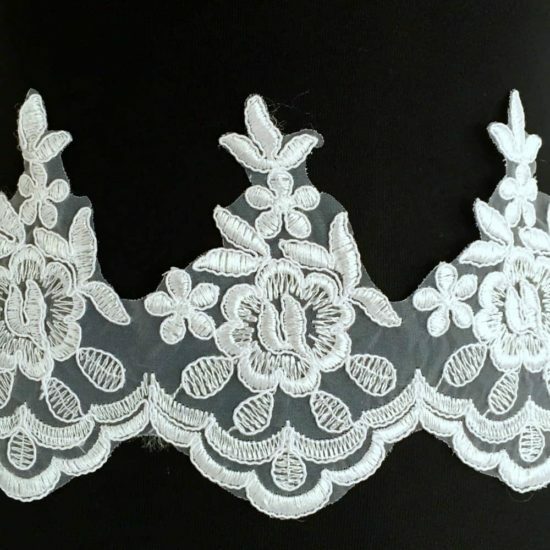 Cut into appliques or apply as trim.